In a sea of TRP vying and sensational headlines, ‘Khabar Lahariya’ seems to stand out, not just because it is the only women-run newspaper in India, but also because it (un)covers grave issues from unnoticed corners of the nation. With an aim to achieve an egalitarian society, this one is surely a welcome breeze in pages of yellow journalism. Khabar Lahariya set out in 2002 in Chitrakoot, Madhya Pradesh, by a group of six women. Initially published in Bundeli, the newspaper covered crime, politics, social issues and entertainment events at the local level. 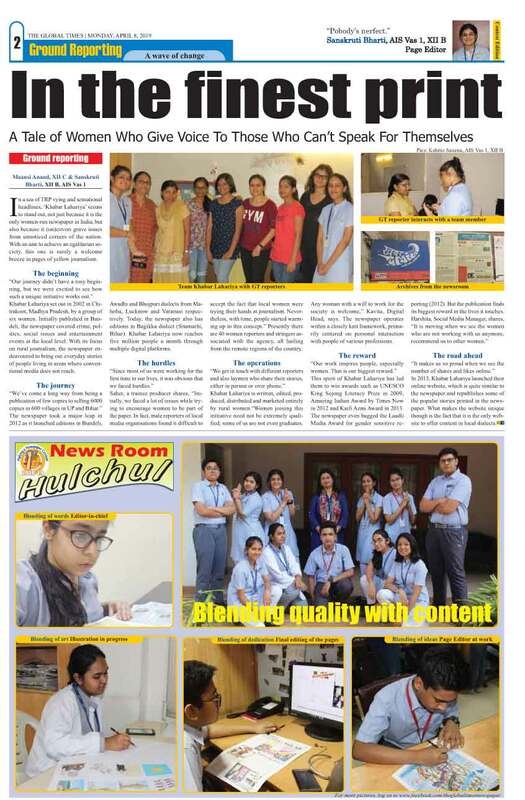 With its focus on rural journalism, the newspaper endeavoured to bring out everyday stories of people living in areas where conventional media does not reach. The newspaper took a major leap in 2012 as it launched editions in Bundeli, Awadhi and Bhojpuri dialects from Mahoba, Lucknow and Varanasi respectively. Today, the newspaper also has editions in Bajjikka dialect (Sitamarhi, Bihar). Khabar Lahariya now reaches five million people a month through multiple digital platforms. Saher, a trainee producer shares, “Initially, we faced a lot of issues while trying to encourage women to be part of the paper. In fact, male reporters of local media organisations found it difficult to accept the fact that local women were trying their hands at journalism. Nevertheless, with time, people started warming up to this concept.” Presently there are 40 women reporters and stringers associated with the agency, all hailing from the remote regions of the country. Khabar Lahariya is written, edited, produced, distributed and marketed entirely by rural women.“Women joining this initiative need not be extremely qualified; some of us are not even graduates. Any woman with a will to work for the society is welcome,” Kavita, Digital Head, says. The newspaper operates within a closely knit framework, primarily centered on personal interaction with people of various professions. In 2013, Khabar Lahariya launched their online website, which is quite similar to the newspaper and republishes some of the popular stories printed in the newspaper. What makes the website unique though is the fact that it is the only website to offer content in local dialects.